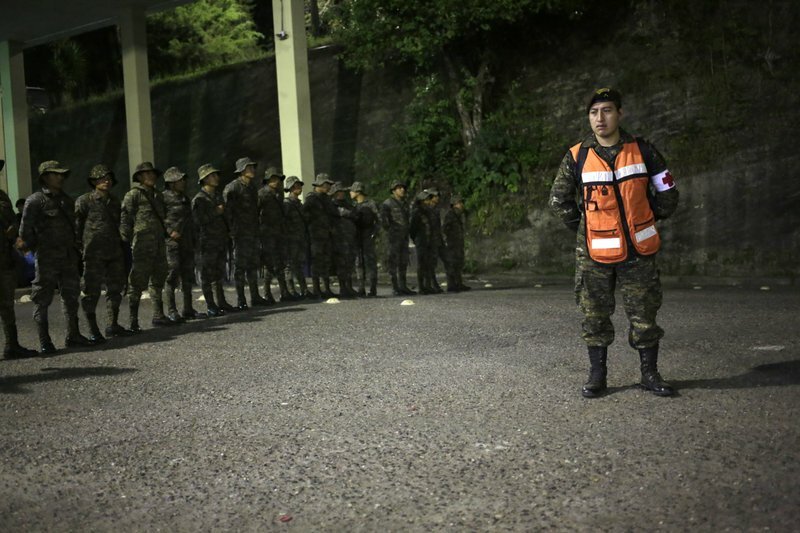 AGUA CALIENTE, Guatemala (AP) — The latest caravan of Honduran migrants hoping to reach the U.S. has crossed peacefully into Guatemala, under the watchful eyes of about 200 Guatemalan police and soldiers. Associated Press writer Sonia Perez D. reported this story in Agua Caliente, Guatemala, and AP writer Elliot Spagat reported from Tijuana, Mexico. 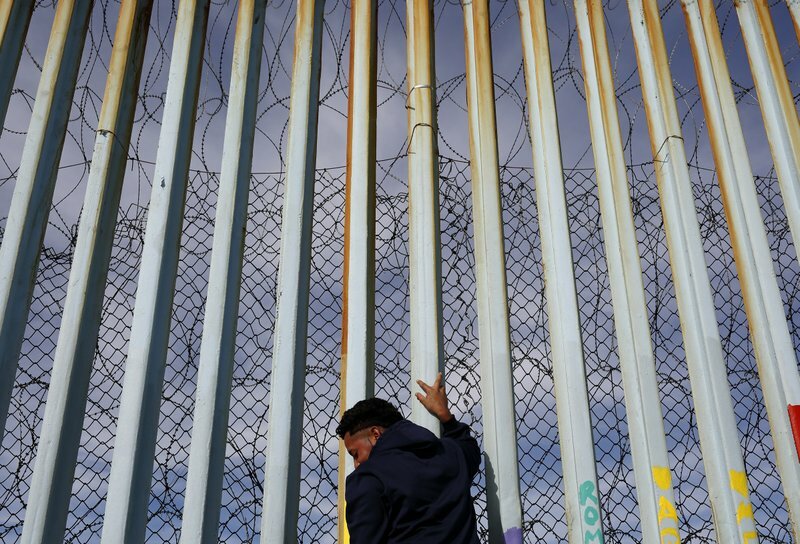 AP writers Christopher Sherman and Maria Verza in Mexico City and Jill Colvin in Washington contributed to this report. This entry was posted in America, Country, Disaster / Emergency, Government, Violence - Evil, World and tagged Honduran caravan headed for the United States Jan 15 2019, National security endagered by lack of border wall by Gordon King. Bookmark the permalink. 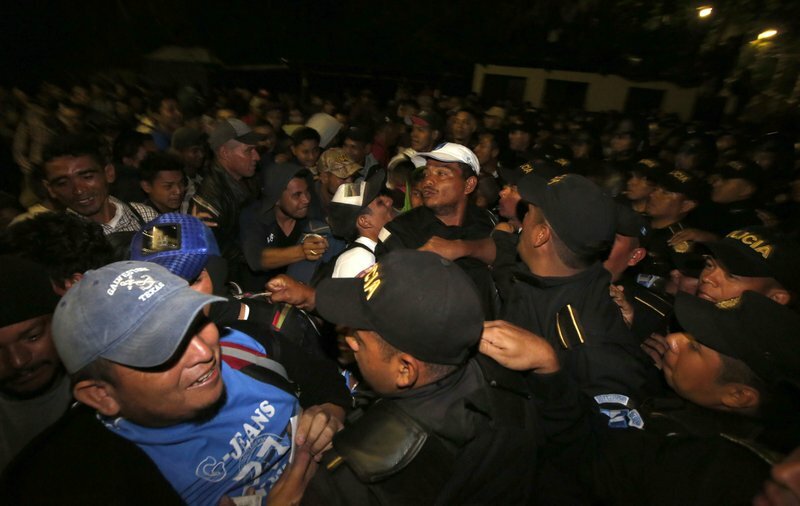 Why now all of suddenly Honduran migrants crossing? Why not 20 or 30 years ago? Was somebody behind the scene paying Honduran government pushing their people out? I understand people are seeking a better life, but you needed to get the paper first and if you love United States of America, don’t bringing any trouble to USA. No drugs, no rapists, no murders, no child smuggling, no gangs, No organized crimes, etc. My great grandfather came from Sicily and he arrived at New York, he took the test and etc. He never, once asking for federal assistance. He came here with 20 dollars in his pocket and he worked very hard to providing for his family. He spoken an Italian and learned how to speaking English. He was proud of being an American. He was married in Sicily and he brought his wife, my great grandmother to America. She and my great grandfather became American citizenship. They love America. They never never asking for help from the state and federal. They seek a good life. It too bad what happening at Europe. I know million of Europeans have enough of crap with EU leaders about Muslim and migrants. It is sicken that EU leaders betrayed their own people. French President, Macron is an idiot. Something too fishy about the wall. I think there are more to than that. Trump said he will declear a National Security. Democrats are full of dummies. Nancy Peosi and Chuck Shummer are very dummy Congress. It is very strange that these very large caravans of migrants from South America are happening now one after another. It makes me wonder who is behind this? Whatever the case, it seems like a very good reason for the wall and not against it! If these people really want to come and live in America then they should do it the right way, legally! If not then they are criminals, plain and simple, it doesn’t get any more clear than that. If you break the law then you are a law breaker, if you lie you are a liar, if you steal you are a thief, if you murder you are a murderer, scripture is very clear about these things, that’s why we have the Ten Commandments. The Democrats think that its ok for illegal immigrants to just walk right into our nation, therefore they also believe that its ok to break the law. But it even goes deeper than that my friend, they want to change the laws, to make immorality moral, to change the bad into good and the good into bad! Where have we heard that before, hmmm, Isaiah 5:20. And what does the bible say about the Antichrist in the Old Testament? He intends to change the times and law. What we see happening now is just a precursor of what is coming, when the Antichrist will change the law, and many people including these politicians will play right into his hand!